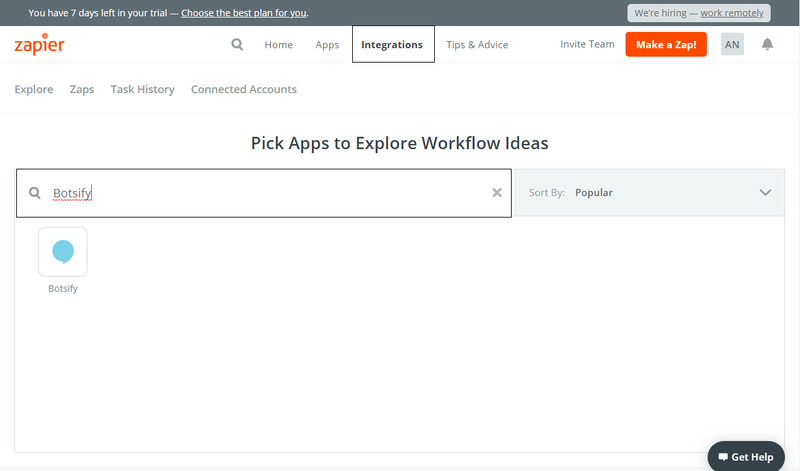 Adding new accounts in the mailing list is so mainstream! 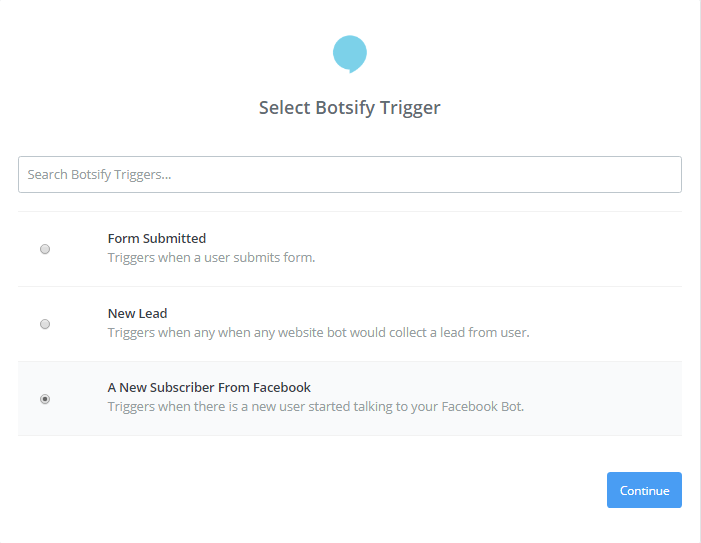 You can now connect your Botsify account with Mailchimp to do it automatically. 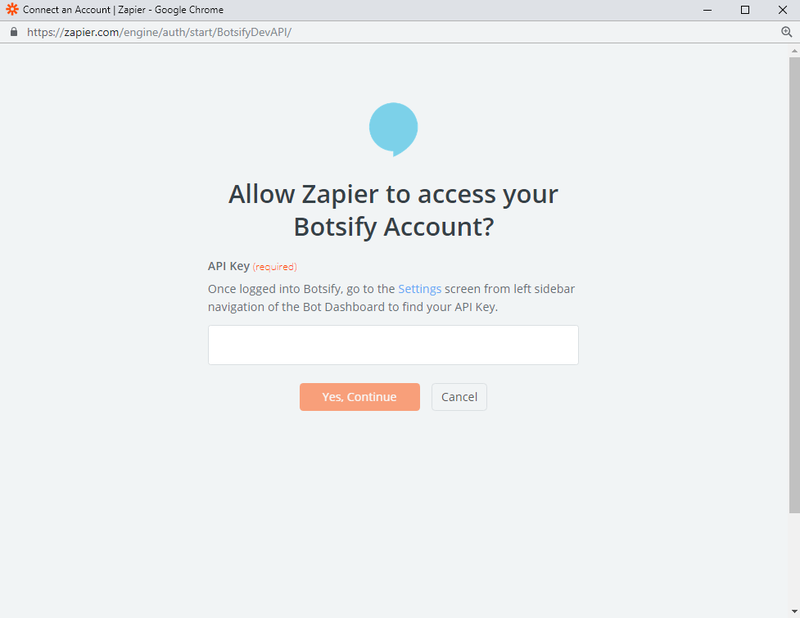 Let’s learn how to connect Botsify account with MailChimp and create its zap! 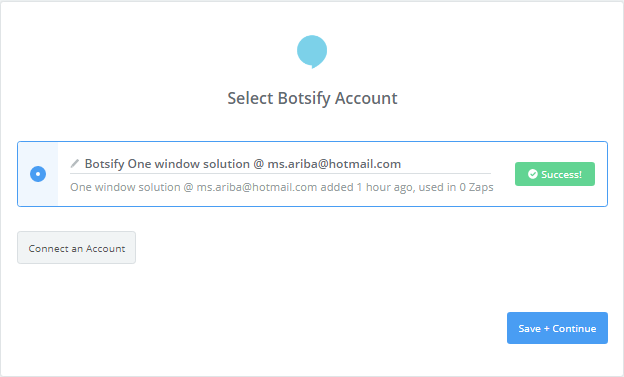 Connect your Botsify Account if not connected already. Save and Continue working! You are almost Done! 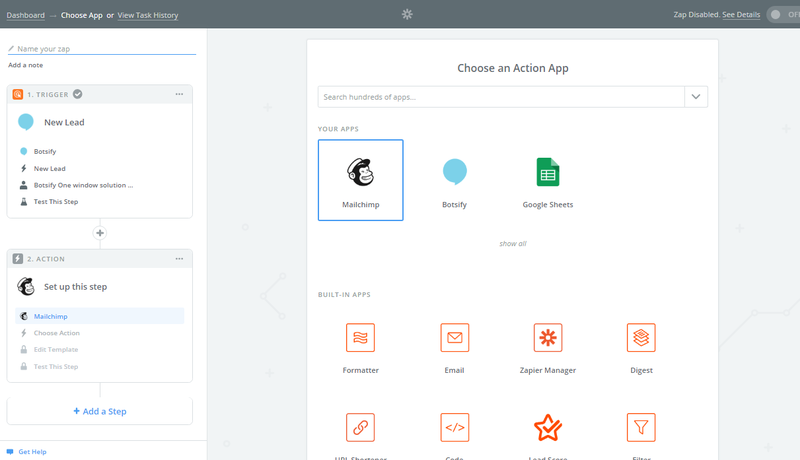 Now Choose an Action! 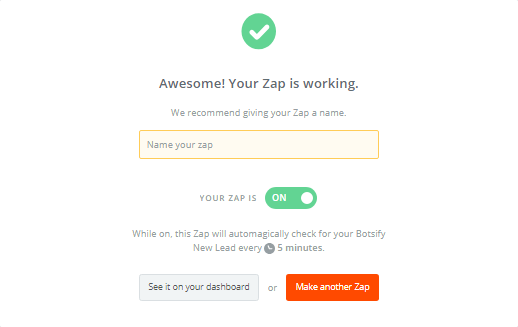 We are connecting MailChimp to our Botsify account. 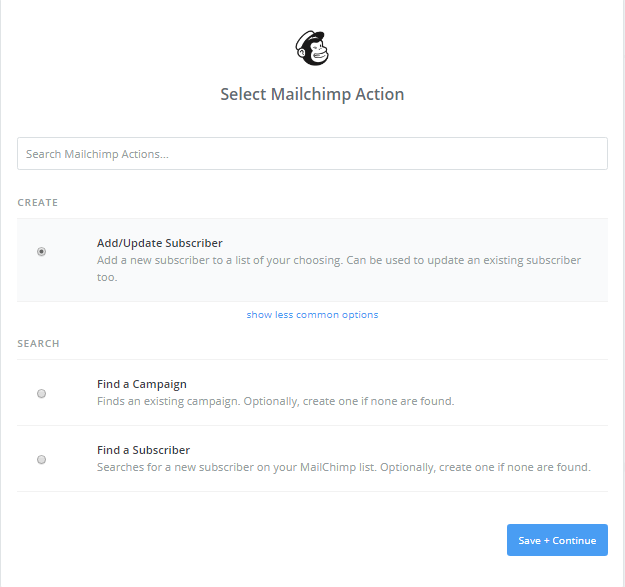 Choose an option that best suits your campaign. 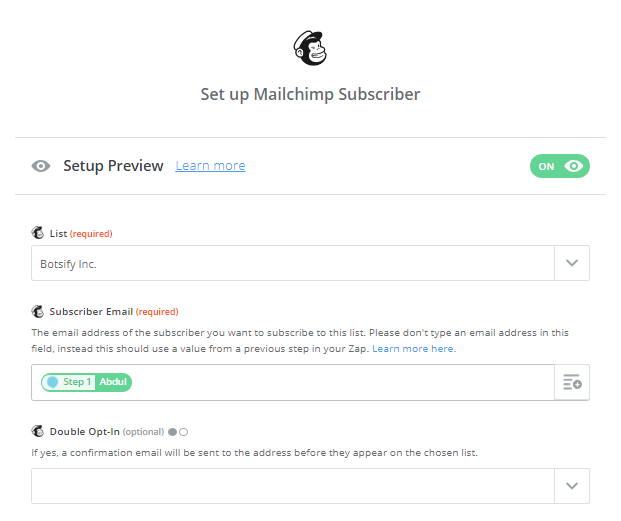 I have selected Add/Update Subscriber. 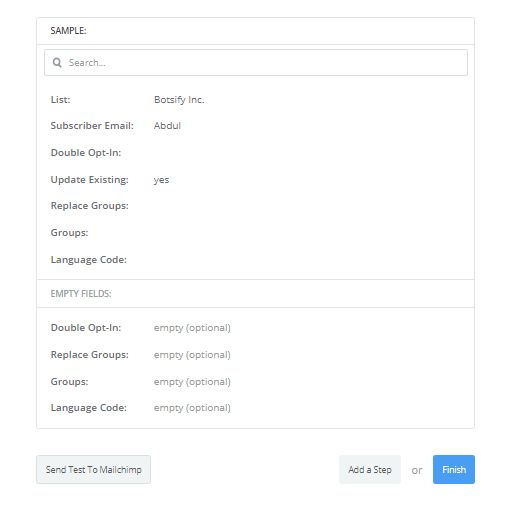 If you want to see the sample you can test it or skip the step. 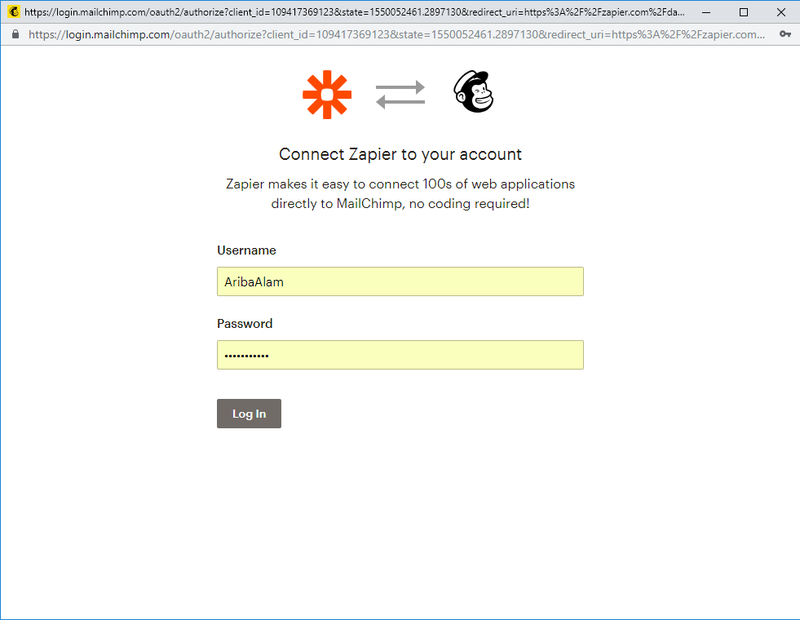 Your MailChimp Zap is ready to use!